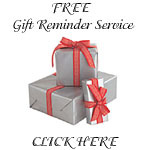 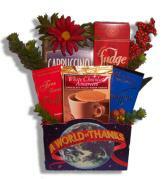 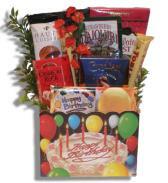 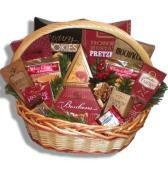 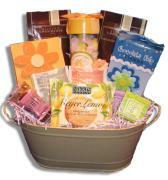 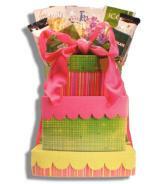 All of our gifts and gift baskets are available for shipping and delivery throughout Canada. 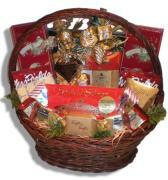 Please use our menu on the left to view all of our gift basket Canada designs available to order or browse through this page to see our most popular gifts that we have shipped nationwide. 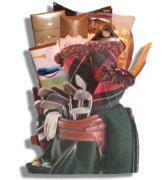 Montreal, Quebec, Ottawa, Toronto, Ontario, Saskatchewan, Regina, Winnipeg, Calgary, Alberta, Charlottetown, Prince Edward Island, Fredericton, New Brunswick, Saint-John's, Newfoundland, Halifax, Nova Scotia, Vancouver, Victoria, British Columbia, Belleville, Trenton, Port Hope, Aspen Woods, Stanley Park, Ogden, Barrie, Bolton, Guelph, Camridge gift baskets Canada, Kingston, Sudbury, Thunder Bay, Timmins, Leamington, Broom Hill, Rocky Point, Gloucester, Orleans, Sandy Hill, Montreal-West, Baie d'Urfe, Hampstead, Westmount, Dollard des Ormeaux, Pointe Claire, West Island, Kirkland, Dorval, Vaudreuil-Dorion, Montreal-East, Mount-Royal, Ile Bizard, Cote-des-Neiges, Snowdon, Outremont, Saint-Laurent, Verdun, Saint-Leonard, Sherbrooke, Laval, Lasalle, Old Montreal, Ajax, Alexandria, Brampton, Brantford, Brockville, Cornwall, Don Mills, Dundas, Etobicoke, Fort Erie, Georgetown, Hamilton, Kitchener gifts Canada, Markham, Milton, Mississauga, Niagara Falls, Oshawa, Peterborough, Pickering, Richmond Hill, St.Jacobs, Waterloo, Windsor and more.